How to extract hair from background? Selecting hair using Refine Edge tool in Photoshop CS6. How to select or extract hair in Photoshop CS6? In this Tutorial I will show you how to select or extract hair in Photoshop. This is very quick and effective Photoshop Tutorial. 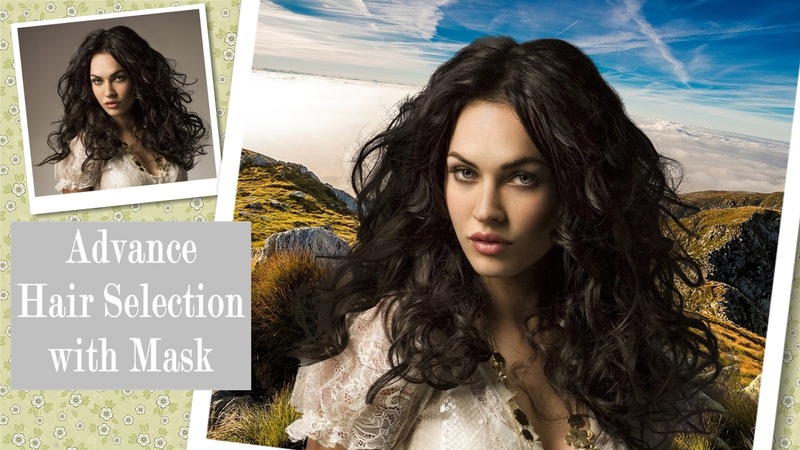 This is one of the easiest and advance ways to select or extract hair in Photoshop. * Open Photoshop and load the images. I have taken two images, one for hair selection and other one is for background purpose. * Select Quick Selection tool and select the character smoothly. * Now go to Refine Edge Tool. * In the popup menu go to the View Mode option and check what is the best view mode for the work, check one by one. Overlay. On black. On white. On layers. Revel Layer. * I will work On layers. * See the magic, background is vanished. * Now click on brush tool and adjust the brush size. * Now come to the out put option and select New layer with Layer mask option. * Change the Radius value. * Now Brush over the hair edges gently, it will refine the hair and remove the noise from the hair. * For more depth of the hair, you can check Decontaminate option and increase the value. Now press OK.
* For more depth of the hair duplicate the layer. It will increase the volume of the hair. * This is very quick and effective tutorial for hair selection in Photoshop.